Sometimes repairing a damaged or diseased tree is not an option. Once trees are weakened beyond the point of repair they become a liability that can result in property damage or personal injury. As a homeowner, being aware of the health of the trees surrounding your home is imperative since weak trees are much more susceptible to falling and/or having limbs break during major storms. Eliminating the risks to your household by begins by hiring a professional tree removal company that has the skills and equipment necessary to identify potentially problematic trees or tree limbs and safely removing them from your property. If you don’t know what signs to look for, Our certified arborists can examine your property and complete a full risk assessment, consult with you, and agree on an appropriate course of action. This might include tree trimming and pruning to remove dangerous, broken or unsightly branches or tree cabling to restore a damaged or aging tree to renewed health. 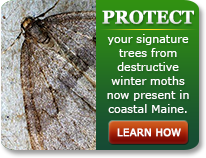 This proactive approach can help to prevent emergency storm damaged tree removal which can save you from unnecessary stress and potentially costly repairs down the road. 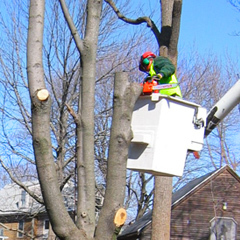 Our professionals are highly trained in the process of tree removal. Lucas Tree Experts has state-of-the-art equipment to remove trees with minimal impact on the rest of the landscape. After a tree removal, many people want the resulting stump to be ground down below ground level. Stump grinding can be done with specially designed equipment provided and operated by Lucas arborists, and it is a great way to enhance the overall appearance of your landscape after a removal. 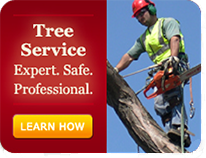 It is always smart to hire professionals to safely remove trees rather than doing it on your own. All trees (even the small ones) have a variety of unpredictable factors when being cut down that can lead to serious injury. The type of tree, angle of growth and amount of internal damage all need to be assessed by a professional and taken into consideration in order for proper and safe removal. Our certified arborists will make a site visit and consult with the property owner, agreeing on an appropriate course of action. This might include tree trimming and pruning to remove dangerous, broken or unsightly branches or tree cabling to restore a damaged or aging tree to renewed health. When you have a tree that needs to be removed or if you’re unsure about its safety and you need professional advice on the removal of trees, Lucas Tree Experts’ services are just a phone call away.